WARNING: Accessories For more information go to www.P65Warnings.ca.gov. Want to be sure your Hearth Products Controls wind guard has all the spare parts it could ever need? Do you need a lot of spare parts for... whatever reason? If you answered yes to either of these questions, Hearth Products Controls has the perfect solution for you! 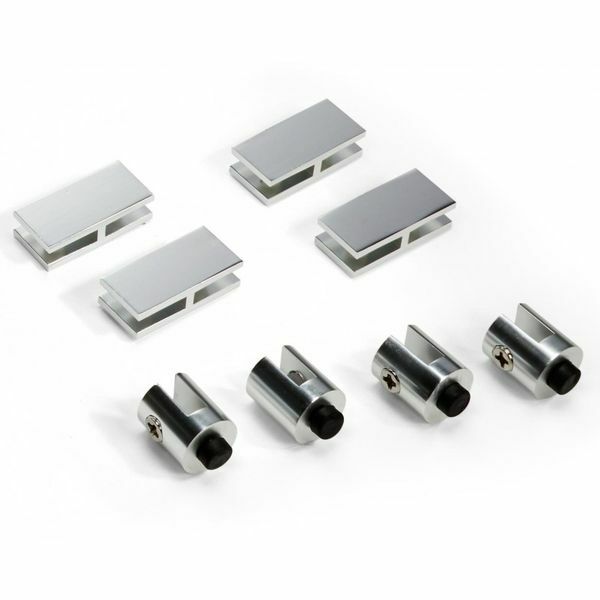 This complete kit includes 4 extension chrome straight clips and 4 extension glass supports with rubber feet, so you'll definitely have what you need to make your wind guard how you wish.